On a cold December evening, Autumn Spencer's twin sister Summer walks to the roof of their shared Harlem brownstone and is never seen again--the door to the roof is locked, and no footsteps are found. Faced with authorities indifferent to another missing woman, Autumn must pursue answers on her own, all while grieving her mother's recent death. 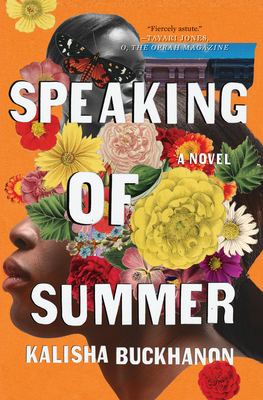 KALISHA BUCKHANON is the author of the novels Solemn, Conception, and Upstate, which was selected as an inaugural National Book Foundation Literature for Justice title. Her other honors include an American Library Association Alex Award, an Illinois Arts Council Artist Fellowship, Pushcart Prize and Hurston/Wright Awards nominations, and a Terry McMillan Young Author Award. She also appears on Investigation Discovery, BET, and TV One as a true crime expert in cases involving women. She lives in Chicago.